Ava wants a pet, but Mom and Dad say she's too little. So when she finds a kitty, Ava decides to name him Itty Bitty and keep him a secret. There's just one tiny problem: Itty Bitty starts growing and growing and growing . . . until he's neither itty nor bitty! Kids will laugh and cheer along as Ava and Itty Bitty try to keep Mom and Dad from discovering their not-so-little secret! From New York Times bestselling author Joan Holub and award-winning illustrator James Burks comes this unlikely friendship story with enormous heart! Featuring lively, bouncy text and bold, colorful artwork, this picture book is purr-fect for pet lovers and their parents alike. Ava wants a pet, but Mom and Dad say she's too little. So when she finds a kitty, Ava decides to name him Itty Bitty and keep him a secret. There's just one tiny problem: Itty Bitty starts growing and growing and growing . . . until he's neither itty nor bitty! 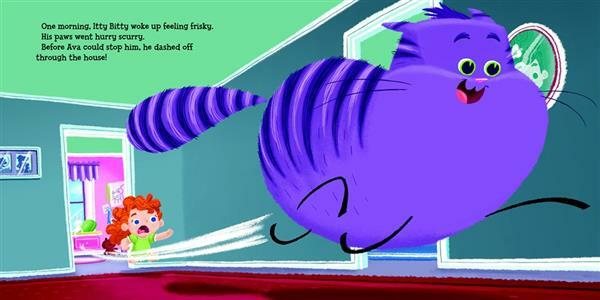 Full of funny, bouncy text and lively illustrations, Itty Bitty Kitty is a sweet story about an unlikely friendship between a girl and her giant cat. The main character, Ava, is a vivacious little girl who just wants her own pet. At her age who doesn't! Even as we get older our love for animals for most just grows stronger but we understand the responsibility that comes with them. At Ava's age reponsibility is far from her mind or I should say the responsibility of owning work as well as the care and money is needed. At Ava's age animals are cute and cuddle and make us smile constantly and when told no they are like a forbidden fruit you must have. When you read Itty Bitty Kitty by Joan Holub and lllustrated by James Burks you will see bold colorful illustrations that are fun and warm the heart. The text if you have children of your own, know friends that do and are around them or baby sat before, you can see how the description of Ava and her personality are not to far stretched for someone her age. How the imagery brings the text to life, acting every scene to a "T". 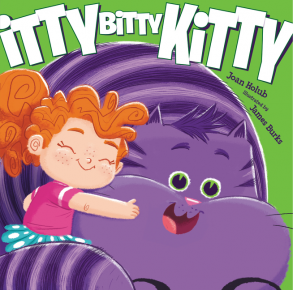 Even though it is called Itty Bitty Kitty by Joan Holub and lllustrated by James Burks, the image of the cat is not so "Itty" more like a fat fun tabby. That's the thing when we see a cat when we're young, even as we get older we commonly say "kitty" or come here "itty kitty or even itty bitty kitty". It's a story children will fall in love with, if it's with the vibrant full of life imagery, the story, even both. That's what makes it great if one night they don't want to read and enjoy the pictures it's as if the pictures tell the story in itself. 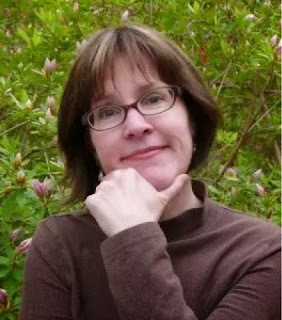 The way the author and illustrator worked together you can see thee understanding and pride both put into their work. What I found ironic about this story and yes you maybe thinking when you read this SHE SHOULD KNOW BETTER SHE IS OLDENOUGH! But that's the great thing about animals they always tend to.warmmyour heart. As the story goes my sister was ruffly around 12 and wanted a cat. My parents said no of course your nor reposible yet to take care of one your own. Being summertime get a phone call "Daddy please pick me up I found a kitten dumped in a "pond", can I have bim?" Believing that the kitten really was my dad said yes until we can find a better home but all a long my sisters friend cat had a litter and ready to go home so she damped him down with a wet cloth and wrapped him in a blanket than stood by a pond that was could not cover your shoe. The point is when she asked like Ava if she could have a cat she was told no. Like Ava she seemed away to get one and of course even a years later after the truth came out Tigger would be the big man on "campus". For this story I know Ava tried to hide hers but it shows in Ava's and my older sister animal lovers and cute faces win everytime. 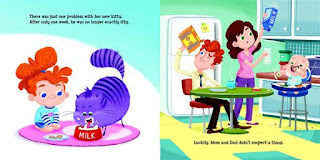 Itty Bitty Kitty by Joan Holub and lllustrated by James Burks is a relatable story both young, old and in between will enjoy. 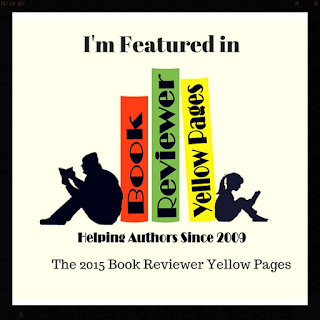 23rd, June 2015 by Oh My Bookness© All Rights Reserved to Oh My Bookness© and The above and its Contributors.